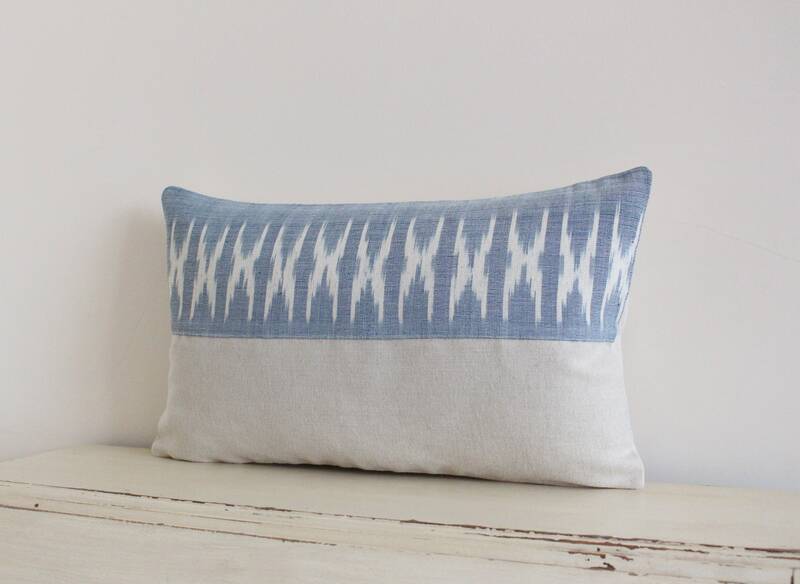 Thai handwoven light blue pillow / cushion cover 12" x 20"
This pretty cushion cover has been made from a handwoven textile from Thailand. 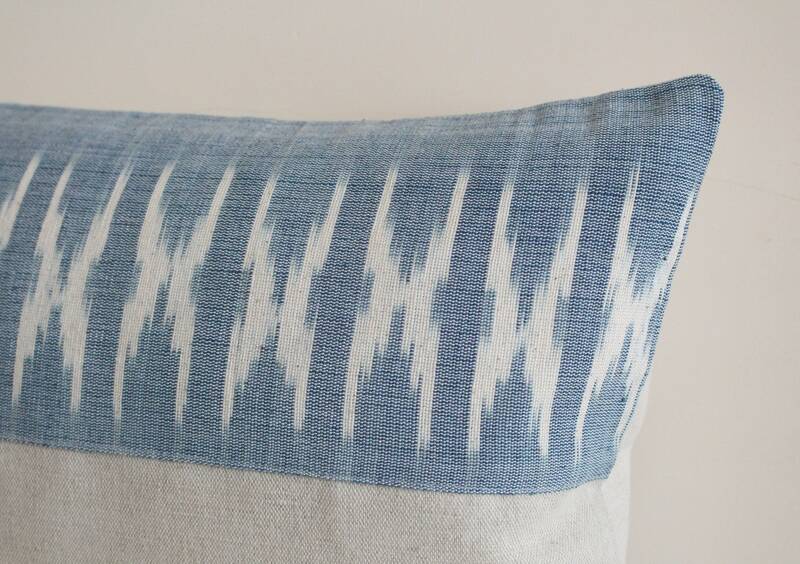 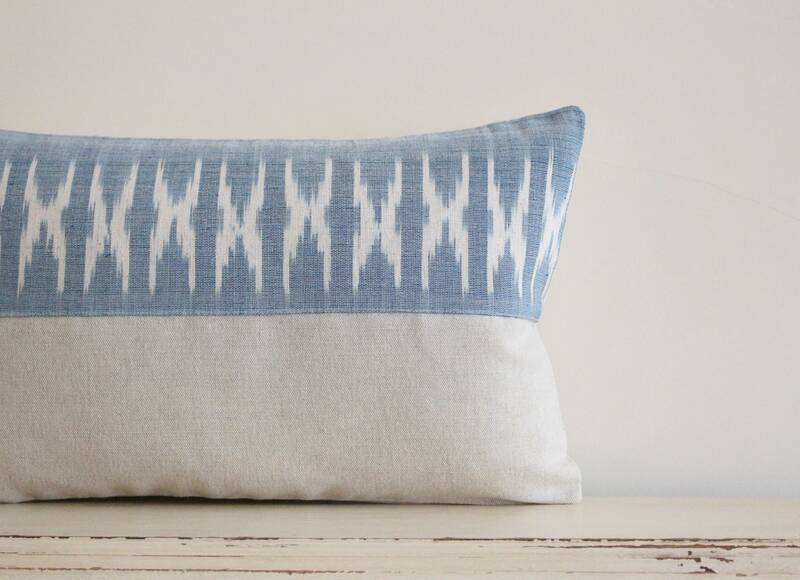 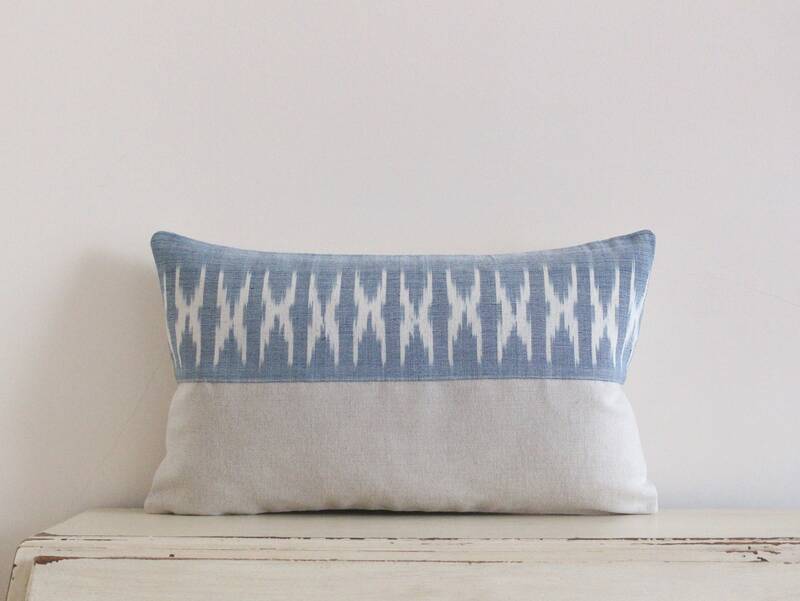 The front is a beautiful soft blue with a traditional Thai woven pattern. 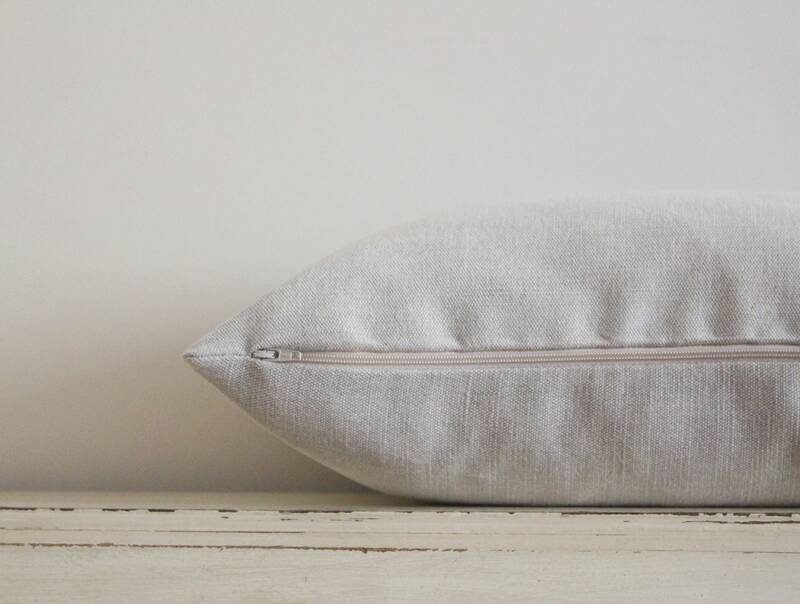 The back is plain cream 55% linen 45% cotton and it closes with a zip at the bottom.